Paris, Renou & Colle, 1939. 4to, Illustrated cover of a photograph of Manuel Alvarez Bravo. First edition of the catalogue of Mexican paintings including those of Frida Kahlo, Pre-Columbian Art and photographs of Manuel Alvarez Bravo. 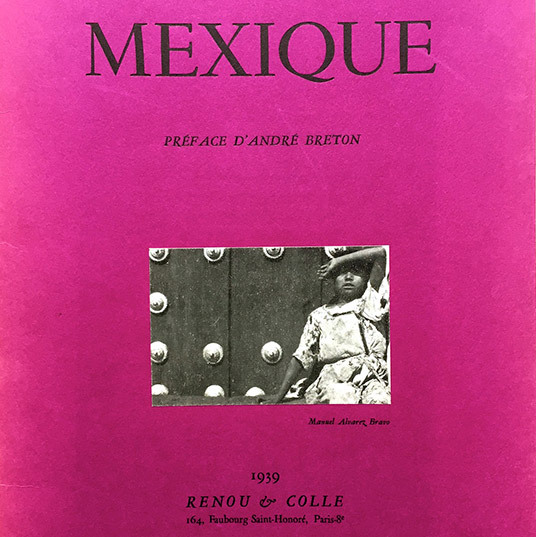 Text by André Breton. Photographs by Raoul Ubac and Alvarez Bravo. Limited edition. Fine copy.